Today, we are discussing the things that you can do and the important equipment that you can install on your home (both interior and exterior) to start getting ready for winter. This might be a no-brainer, but you would not believe how many people actually forget to lock their doors and windows. Always lock your windows and doors, especially if you are going on a vacation with your family. Before going to sleep every night, make it a habit to check all the windows and doors, including the above and below windows. You can also opt to have security bars installed on your doors for that extra security measure. Make sure to clean your gutters and downspouts even before the winter season begins. This is to prevent ice from forming in them, which can easily ruin your gutters and downspouts. Avoid going on your roof during the freezing weather though, as it can be slippery and dangerous. Wait for the ice to melt, then inspect your roof for any sign of damage. Stairs can be extremely slippery during the winter, which makes them dangerous to walk on. Ice repellent solutions can be bought in supermarkets and hardware stores, and it is super easy to use. All you have to do is spray it on your stairs, wait for it to dry a bit, and you are good to go! You still have to be careful when walking on them though, as you surely do not want to slip and slide all the way down. 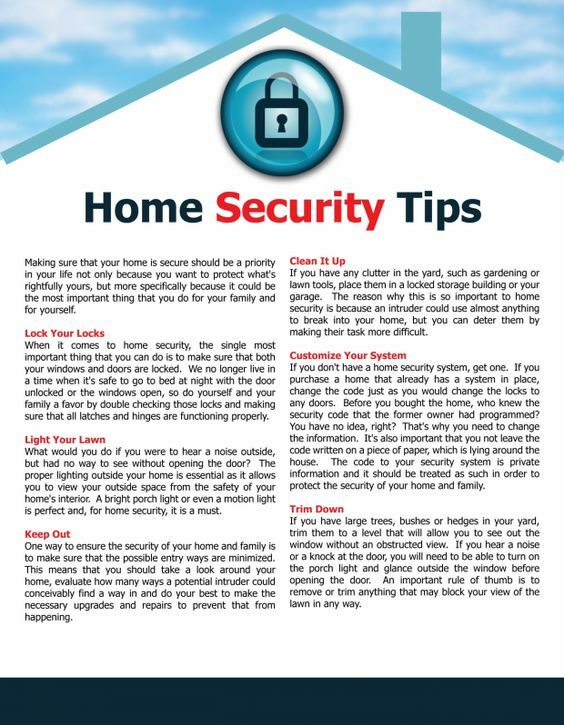 Home burglaries tend to be higher during the winter season. Amp up your security by installing motion detectors that light up or go off when people come near them. This will easily make burglars think twice about breaking into your home, as they are usually drawn to dark houses. With motion detection, it is also easier for you to see if someone is passing by your home. Most security systems include options that allow the homeowner to program the system on their laptops and smartphones. There are also some that have automatic timers for the homeowner’s convenience. Aside from being a beautiful addition to your home, roller shutters can actually make your home more secure and protected. These can be installed on both your windows and doors. They can deter burglary attempts as roller shutters are difficult to open from the outside due to its durable material. Roller shutters are even more helpful during hailstorms, as big chunks of ice wouldn’t be able to crash on your doors and windows. Aside from these things, shutters also offer privacy, especially if your house is facing the street. You have the option to roll them all the way down, or just half way if you still want to let some sunshine in. Lastly, roller shutters keep your home insulated during the winter. It can be shut really tight, so you can make sure that the insulation won’t escape through your doors and windows making it warm inside all throughout the cold weather. Aside from roller shutters, security screens can also be a big help to homeowners during the winter season. 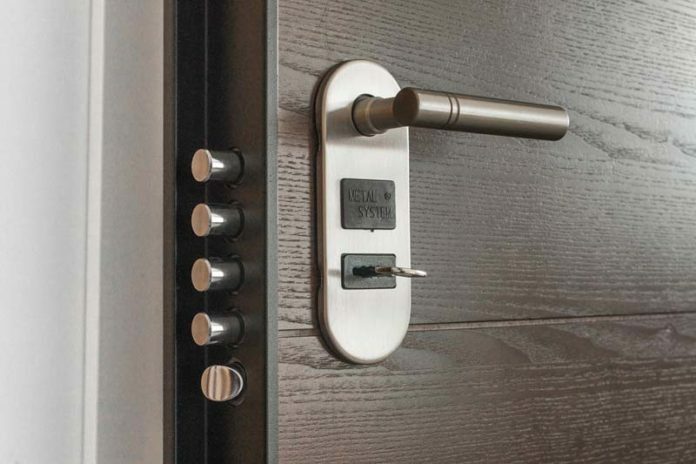 The heavy-duty locks offer maximum protection and prevent burglars from getting inside your house. Security screen doors can also add value to any home, as the homeowner has the privilege to choose from different colours and styles to match their home’s aesthetic. Similar to roller shutters, security screens can also save you a lot of money. It is energy efficient, as it prevents the warm air from escaping your home. To make it more efficient, you can replace the screens with glass panels. It also protects your main door and your home from the harmful elements such as hailstorms, extreme wind, and heavy rain. Trees and shrubs are usually used by burglars to hide in. This will prevent them from spying the inside of your home from those trees and shrubs, so make sure to keep them trimmed. Aside from this, trimmed trees and shrubs are also less dangerous during the winter. The heavy rain and storm can break your trees, which can make them hazardous to people walking along the sidewalk, and even to your doors, windows, and walls. Make sure to do this even before the winter season starts rolling in. This is definitely a must-do even before the winter season start. Have your boiler checked and have the filters changed if they seem to be filthy and not working well. This will increase the heating efficiency in your home, and will definitely reduce the chances of your boiler failing during the winter. Make sure that your doors and windows are not completely open and that the inside of your home is not extremely visible to the public eye. Rollers shutters and security screens are some of the things that you can install on your windows and doors to prevent the public from taking a peek inside your private lives. Keep your valuables hidden from the public’s view. You can buy a safe to keep your extremely valuable properties out of sight, or at least keep them somewhere that no one can easily access and see. Make sure that your house number is clearly visible from the outside, so if ever an emergency arises and you call the authorities, they can easily locate you home. Install a peephole or double lock on your door to see who’s outside even without opening the door completely. Have an emergency escape plan in case of a break-in. If you want a hassle-free and worry-free winter, then make sure to follow these tips. Your home is where your heart is, and you should most definitely treasure it! Good luck and happy winter to you and your whole family! Bianca Bicheno is a writer and online marketing specialist. Bianca also writes articles for different websites during his spare time for extra income. She also worked as an online video editor before she started her writing career.